The most common issue was blank passages (no commentary) and misplaced passages (commentary appearing in the wrong verse). Overlapping comments were also creating problems in various books and they have been greatly reduced. A large number of miscellaneous errors were also fixed, based on your feedback. Context: My original source documents are broken into nearly 1,100 files. About 500+ of those files were changed with this revision. Valued for generations and consulted by Bible scholars everywhere, John Peter Lange's Commentary on the Holy Scripture has withstood the test of time. Hundreds of times per year, even today, Lange is quoted and cited in dissertations and books. Lange’s It's one of the finest academic commentary sets that has ever been produced..
John MacArthur lists Langes as a must-have in its 850 Books for Biblical Expositors. Cyril Barber (in The Minister’s Library Vol 1) has this set marked with an “*”, meaning it is one of the best. 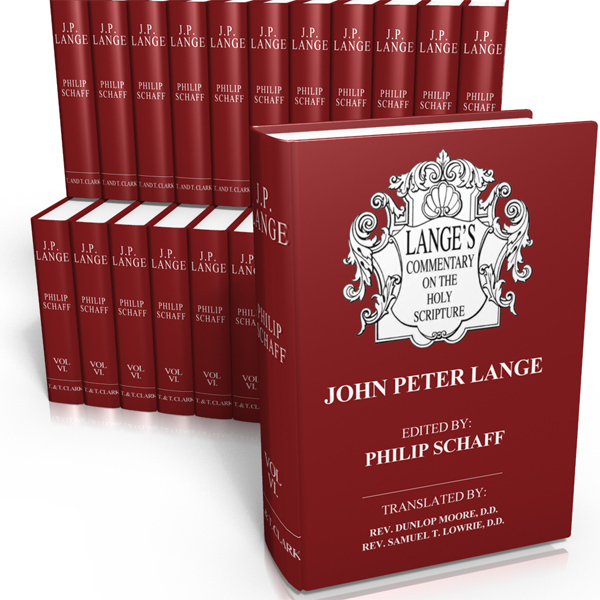 He writes “One of the best multivolume commentaries available...."
With this volume the English issue of Lange’s great Commentary is completed, and all ministers and students are deeply indebted to Dr. Schaff and the Messrs. Homiletically, these commentaries are of high value. Often by a single sentence they will start the mind and give it a push along a line of thought, and this is the chief thing that most of us need. Johann Peter Lange (1802-1884) was a professor in Zürich, professor of evangelical theology in the University of Bonn, and a prolific author. Lange began this commentary series in 1857. As the introduction to the American version says: this commentary series "aims to give all that the minister and Biblical student can desire in one work." The claim is not hyperbole. Lange aims high, and the contributors and editors give it their all. To this end, the design is a wonder. Many wish modern series would emulate it as effectively. Each book has an introduction that is both academically and homiletically (i.e. with an aim to preaching) focused. While the Old Testament represents 80% of the Bible and the New Testament 20%, Lange devotes about 50% of his commentary to the New Testament! The text is a fresh translation, followed by a threefold commentary on each section. The first part is exegetical and critical, containing the exegetical and interpretive analysis of the original text, including textual notes, often studying every word. 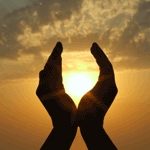 The Second part is doctrinal and ethical section, focusing on theological and moral truths gleaned from the passage. The third part is the homiletical and practical section communicates suggestions as to how the passage can be preached and applied, drawing suggestions both from German (Luther, Tholuck, etc.) and English-language (Hodge, Henry, Spurgeon, Clarke, Charnock, etc.) sources. This is absolute genius. Not only does the commentary help in analyzing a passage, but often it assists in formulating a plan to proclaim or teach it. The contributors include some of the more prominent German and English-language scholars of the day. The English-language contributors comprise an impressive constellation of scholars from around the doctrinal spectrum, including Philip Schaff, Charles A. Briggs, W. G. T. Shedd, Patrick Fairbairn, W. Henry Green, John A. Broadus, James Strong, and C. H. Toy. One of the largest theWord commentaries ever created, Lange's words span over 150 megabytes of text, including some 256,000 scripture references! 71,000+ Greek words rendered! 69,900+ Hebrew words rendered! This is not the butchered version of Lange's New Testament you may have seen elsewhere. This is properly formatted! theWord edition includes the commentary module (150 megabytes uncompressed) and a Supplemental Information Book module (6 megabytes). The latter contains various introductions, Rhythmical versions, and Metrical translations. The portion covering Job has over 900 footnotes! The footnotes in each passage are blue and hyperlinked to the footnotes at the bottom the screen. You may click a footnote to view its content and you may click the footnote again to return to your point of reference in the text. 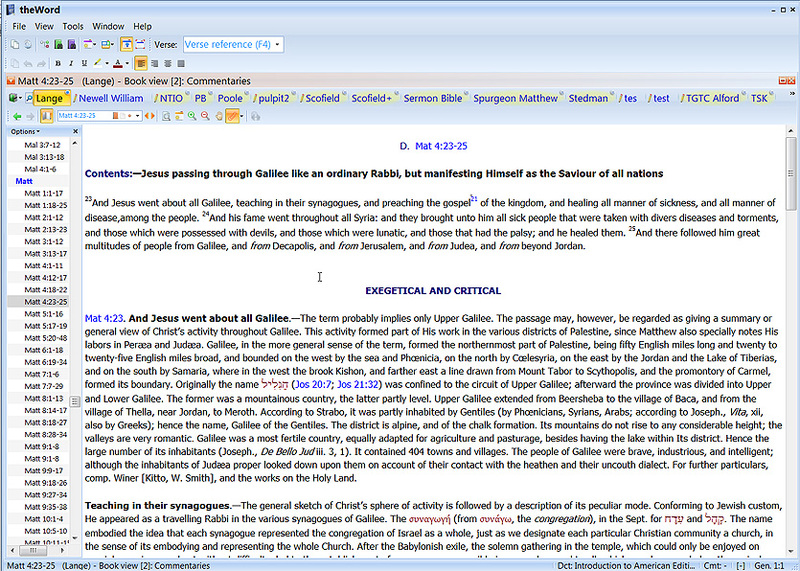 Brent Hildebrand for ToolTip NT, my authoring tool of choice for e-Sword. Let me clear: This project would not have happened without Brent's fixes, coding, and accommodation of my requests. "Raymond" is a person I know who cannot reveal his identity because he lives in a country where Christians are routinely killed. "Raymond" wrote a series of very complicated regular expression search/replacements to make this commentary possible. Without Raymond, the footnotes would have been a mess! grato,estou muito feliz em conhecer este site,vai ser útil pra mim,eu uso a the word há anos. I always wonder how this people can do this. I really admire the passion and the effort for all this work, from the author of the book to the people who translate and pass it to digital. God bless you. Sorry but cannot say positive word. I have found this product is most difficult to open. I gave more than the required amount you asked for. I already had received the program in the past, but lost it due to computer problem. I appreciate the work of the Word, so thought I would give a gift in appreciation for their work. To my dismay, you have made it most difficult to sign in, and then the program asked me to purchase a program from Microsoft to open it. This may be my ignorance, but I have been doing this for over ten years. You don't need to post this. I do appreciate theWord and will continue to support them. I wish you would make it a little simpler. I have a Masters degree and a Doctor of Ministry degree, you'd think I would be able to open this program. You can have the gift. It's not much, but I appreciate the work you are doing. I don't really need the Lange commentary. I am 85 years old and seldom get to preach, so I can get along fine. Pardon this negative report. Do not post it. You are doing your best.